In a video posted by Sarah Jane Dumalay, a boatman or a bangkero tries to save a child from drowning for almost 10 minutes. The people who witnessed the incident can be heard saying the child doesn't have an adult with him. 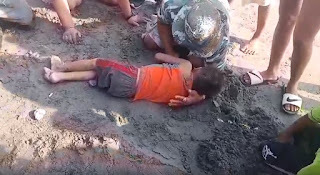 The boy is said to be found floating in the sea with no adult supervising him. People in the video said the boy was only with his brother who might also be a minor. According to Sarah, many of them thought there was no chance for the boy to live as bubbles are already seen coming out of his mouth. As for his brother, women in the crowd is heard asking him who they were with and asking why no one was looking after the child. Later in the video, people can already be heard praying for the boy in hopes that God will let him live. And after just some minutes, the boy moved and seemed to cough out the water he ingested. All thanks to mamang bangkero who never gave up on the child and kept trying to resuscitate him. 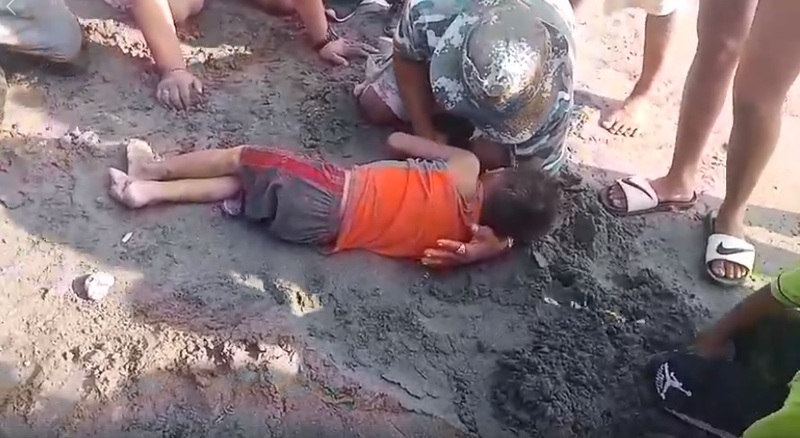 Based on the place where the video was taken, a medical practitioner may be too far to reach and the only way to save the boy is to do the first aid right there and then. His identity was never revealed in the video but Sarah mentioned he was a bangkero or also known as someone who manages and sails a small boat. It is not known if he is trained in giving mouth to mouth CPR but it looks like he did a great job as the boy lived!